Visual intelligence put simply is being "picture smart". It is the ability to recreate and manipulate and modify ones perception of the world in one's mind visually. It is the spatial understanding of shapes, patterns, designs, and colors. Visual intelligence refers to the ability to reproduce the outer world environment internally in one's mind through images. Chess players, painters, architects, sculptors, theoretical physicists, war strategists, navigators, illusionists, graphic artists, designers, cartographers, and film makers are said to have enhanced visual intelligence. A team of researchers from the Spanish National Research Council (CSIC) have developed a web application to test the visual intelligence of Facebook users through the social network. The new platform will enable researchers to test different cognitive skills and to obtain large amounts of data that determine what parameters affect the brain's visual capacity. Gonzalo García de Polavieja, CSIC researcher and head of the enquiry who works for Cajal Institute states: "It is the first time that we use a social network for a cognitive research. This will enable us to obtain large amounts of information on the cognitive capacity of Internet users worldwide. Once we collect that information, we will analyze it in order to obtain innovative models and results on visual ability". CSIC researcher and tool developer Ángel Carlos Román specifies: "Then, two types of games start. Firstly, participants are asked to estimate, for instance, how many pencils can be seen in a specific figure. Then, they are also asked to estimate which of two choices has the largest number of pencils. Furthermore, some of these games can collect social information, such as the number of people that have chosen a specific answer". The generated data will be stored in a text file hosted in a external server of CSIC. 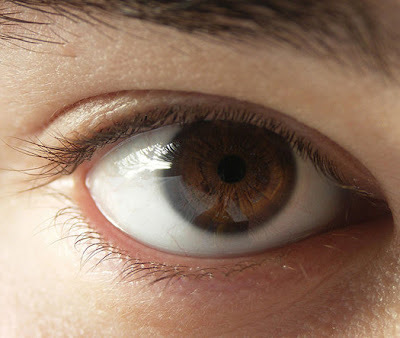 According to the researchers, "the results will help us to determine what factors (time, social information, or age) affect the visual ability. This analysis will enable us to illustrate a model of these kinds of answers in human beings".